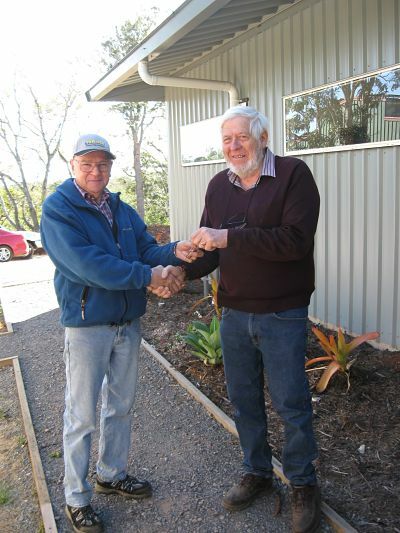 Blackall Range Woodcrafters Guild Inc.
At the recent Annual General Meeting of the Blackall Range Woodcrafters Guild, President John Muller handed over the reins to incoming President Rob Otto. John, a tireless worker, has led the Guild for three years, during which time he saw the erection of the “new” shed come to fruition. 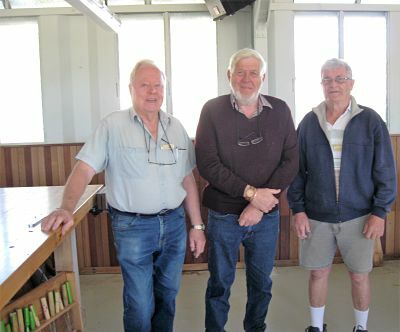 The shed was one of many built for service during the Vietnam war and was gifted to the Guild, still in its packing cases, by the Australian Army. Rob, a retired furniture maker, has contributed greatly to the success of the Guild and, like John, is liked and admired by all woodies. Also at the AGM, Life Memberships were presented to John Muller, Brian Harris, and Hugh McKenna.